Gosforth Bohemian Reserves dented North Shields Athletic Reserves’ Tyneside Amateur League title challenge as they defeated them 2-0 at Benson Park. A tight affair was goalless until just before the break when a free kick found David Parker who slotted home. The home side were well marshalled by manager Pete Moscardini at centre back, snuffing out the threat of opposition boss and league top scorer Leeroy Odd. An own goal on the hour mark doubled the advantage for Bohs, and Shields were unable to respond as they slipped to their first defeat since early October. 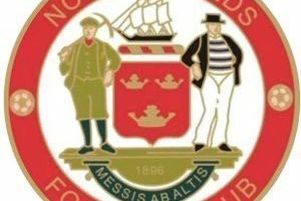 Bedlington Juniors are now just two points adrift of Shields after they won by a single goal to nil at Ponteland United Reserves, while West Jesmond are level with Bedlington, but have played five games more, after a 3-0 win over Blyth Town Development with a brace of goals from James Dixon and one from Ed Shanks. Bohs are fifth, nine points off the top but with two games in hand. There were goals galore as Newcastle Medicals moved up to 11th with a 4-3 win over Wardley. Martin Walton bagged a brace for Medics and was joined on the scoresheet by Stephen Carnell and Richard Peppiatt. For Wardley there were goals from Carl Clarke, Lewis Robson and Aidan Willis. Newbiggin Hall scored three times for the fourth consecutive game, but picked up only the second point of that streak as opponents Newcastle Chemfica Reserves also netted thrice in the battle of the bottom two. Kieran Ellis and an own goal had Newbiggin Hall two goals to the good in the first half, only for Chris Lockerbie to make amends for his OG by netting at the other end. A wonder strike from Jonathan Anderson after the break made it 3-1 to the visitors, only for Martin Edmond and Austin Godino to level the scores, with Newbiggin Hall then being indebted to stand-in goalkeeper Paul Burr for a series of saves as they held on for a point amidst great pressure. There have now been over 100 goals in Hall’s 17 league matches this season. Chris Moat netted the only goal as Lindisfarne Custom Planet Reserves moved into the top half with a 1-0 win at Killingworth YPC, whilst Forest Hall YPC brought home a point from the long trip to Stobswood Welfare, a third consecutive draw for the visitors whilst Welfare are now five games unbeaten.